UPS Healthcare – At UPS we offer solutions that address the logistical challenges and complex regulations unique to the healthcare industry. We have more than 600,000m² of dedicated healthcare distribution space around the world, highly trained healthcare logistics personnel, and dedicated services to protect your products during transit. 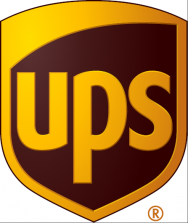 These services include UPS Temperature True®, a freight service with flexible options for air and ocean cargo, UPS Proactive Response® Secure, which provides unique recovery options and a financial safeguard for parcels, as well as UPS Temperature True® Packaging, which helps customers find the right packaging solutions for their unique product requirements. UPS is the partner with the global network and logistical expertise to help you better respond to patient needs and take advantage of market opportunities around the world. Put the power of logistics to work for you.